Our mission is to provide a clean and healthy environment to our clients in the seacoast area. Through the use of green cleaning products and best practices we deliver a clean that is safe and sanitary. What sets us apart is our completely customizable services. 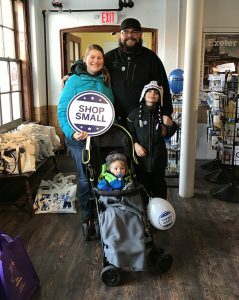 CLEAN by the Sea, LLC is a local family owned business providing services to the Seacoast area since 2005. We would love to be your cleaning company! We are never satisfied unless our customers are. Copyright © Clean by the Sea LLC.